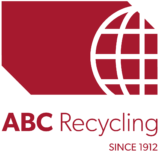 ABC Recycling sells new and salvaged metals as well as resale equipment. We offer a large inventory of products and competitive pricing. Galvanized Steel can be purchased and cut to your specifications. Alloy Steel can be purchased and cut to your specifications. Aluminum can be purchased and cut to your specifications. Stainless Steel can be purchased and cut to your specifications. Brass can be purchased and cut to your specifications. Copper can be purchased and cut to your specifications.